In the not so-distant-future you could be wearing your smart phone around your wrist. And, if you're into gold jewelry, you'll be able to accessorize it with whatever other gold baubles complement your bling. Researchers at Missouri University of Science and Technology have developed a technique that allows wearable device to be completely bendable using silicon and gold. The research team "grew" thin layers of gold on a single crystal wafers of silicon, then removed the gold foils, and used them as substrates on which to grow other electronic materials. According to the scientists, their discovery could revolutionize wearable or “flexible” technology research, greatly improving the versatility of such electronics in the future. 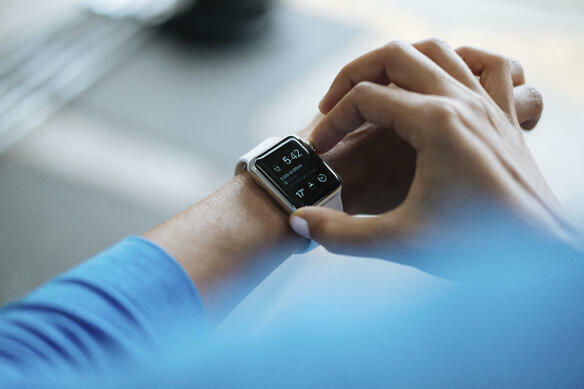 Jay A. Switzer, lead researcher of the study, says most research into wearable technology has been done using polymer substrates, or substrates made up of multiple crystals. However, the allowance of flexibility compromises the performance of these polymer substrates, Switzer explains. The polymer substrates are made up of multiple crystals, what are called grain boundaries, which can greatly limit the performance of an electronic device. By starting with single crystal silicon and growing gold foils on it, Switzer can keep the high order of silicon on the foil. But because the foil is gold, it’s also highly durable and flexible.